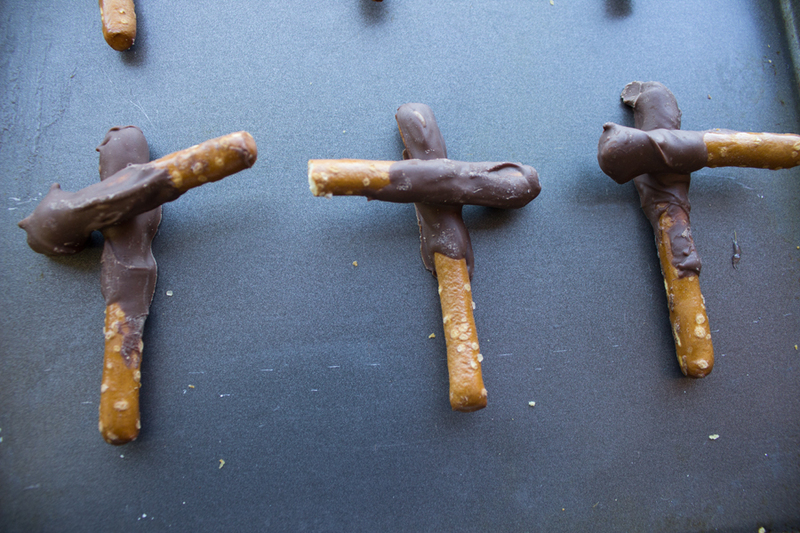 Enjoy a delicious snack — and an opportunity to talk with your children about Jesus’ call to discipleship. Step 2: Lay a piece of wax paper down on your work surface. 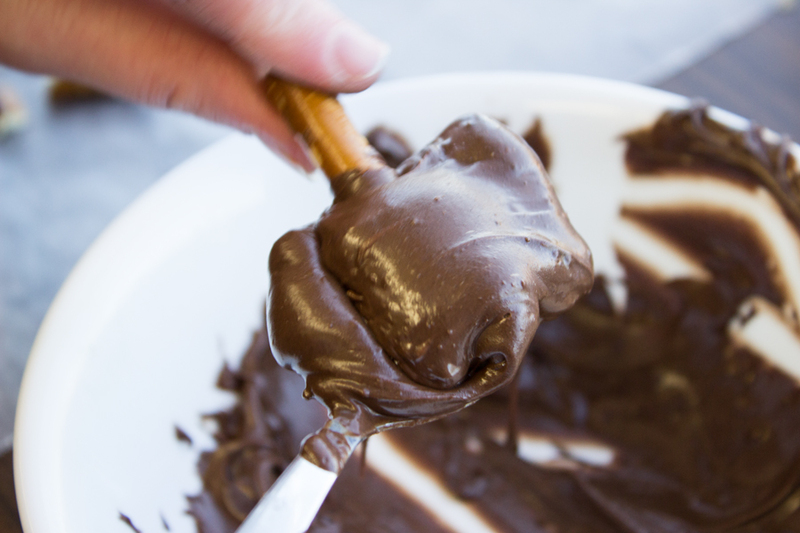 Step 3: Take a spoonful of chocolate and hold it up against a pretzel rod. 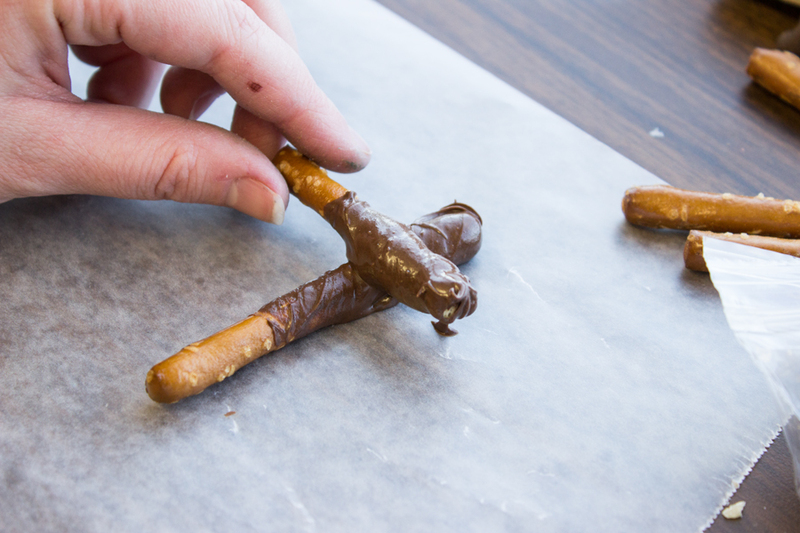 Spin the pretzel in between your thumb and pointer finger to coat the pretzel evenly on all sides. 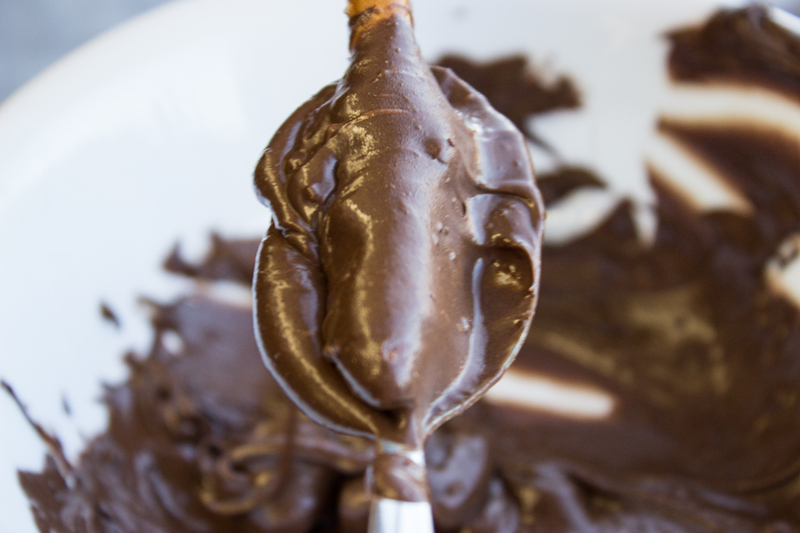 There should be an inch or so of space at the bottom of your pretzel that is not coated with chocolate. 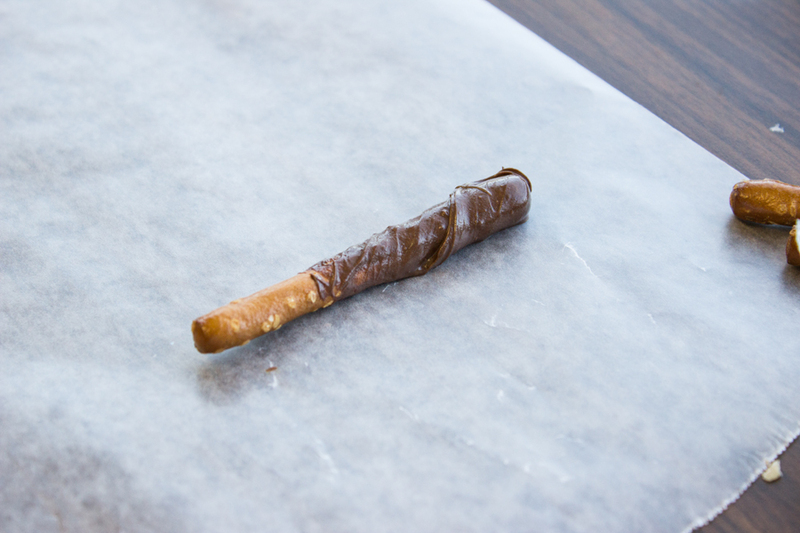 Step 4: After the pretzel is well coated, set it down gently onto the piece of waxed paper. 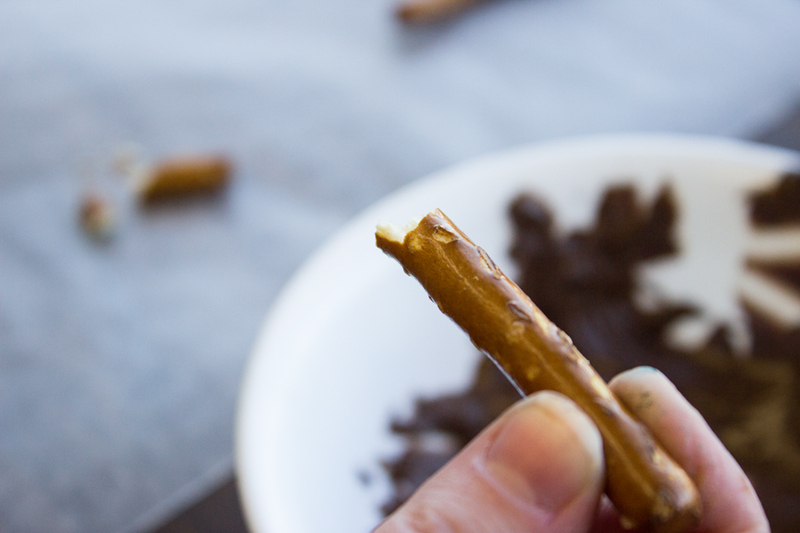 Step 5: Take a second pretzel rod and break 1/3 of it off and discard. 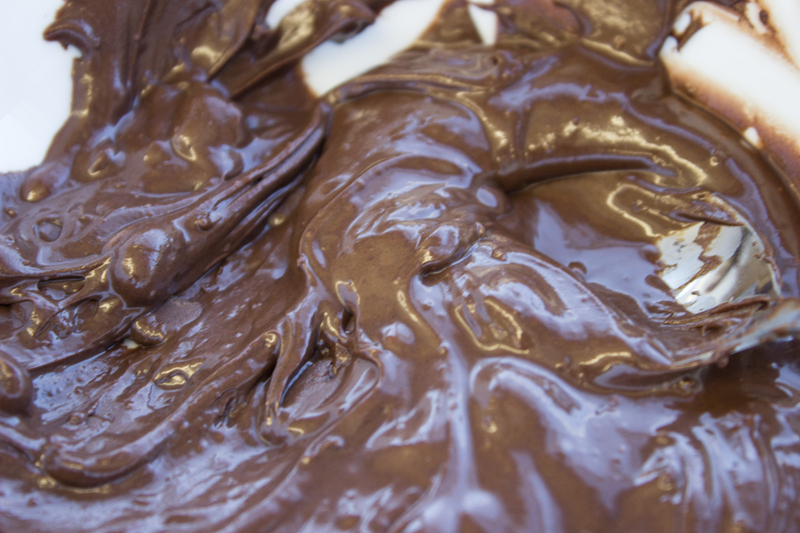 Take the other 2/3 pretzel and cover it into chocolate as with the previous pretzel. Step 6: When you have finished coating the second pretzel, set it on top of the previous pretzel about 1/3 of the way down to make the shape of a cross. Try to balance the small pretzel in such a way that it does not tip to one side or the other. 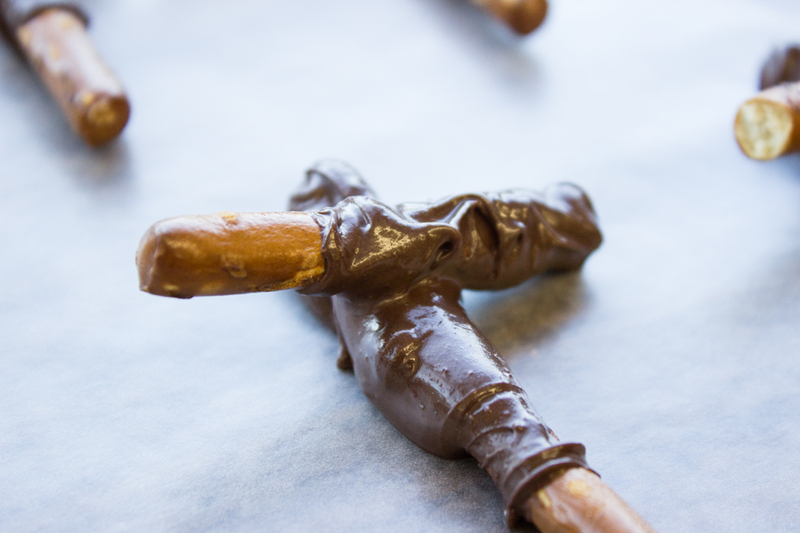 Step 7: Leave the chocolate covered pretzels on the wax paper to cool and harden (this should take between 10 and 20 minutes), and enjoy.